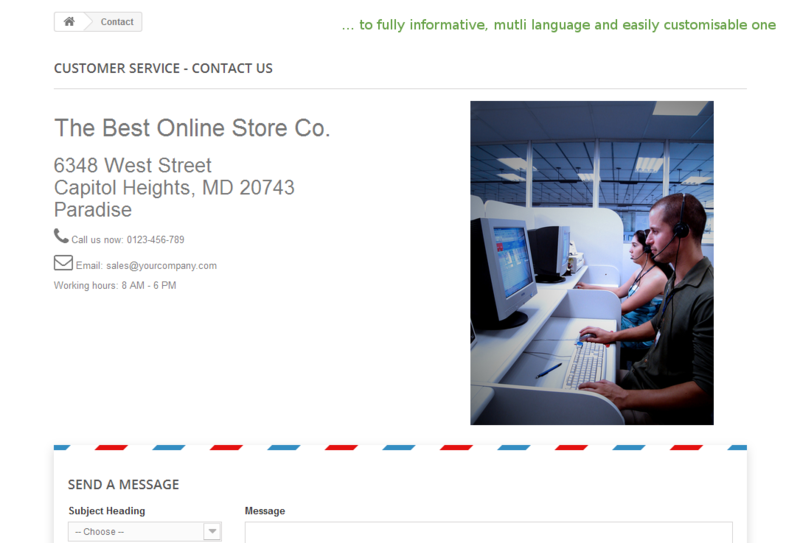 This module allows you to improve the contact page of your shop. By default, Prestashop shows only a contact form, without any additional information like company data, email address, phone number etc. Many store owners create a separate page in the CMS and put the information there, but this is not very convenient for the customers. 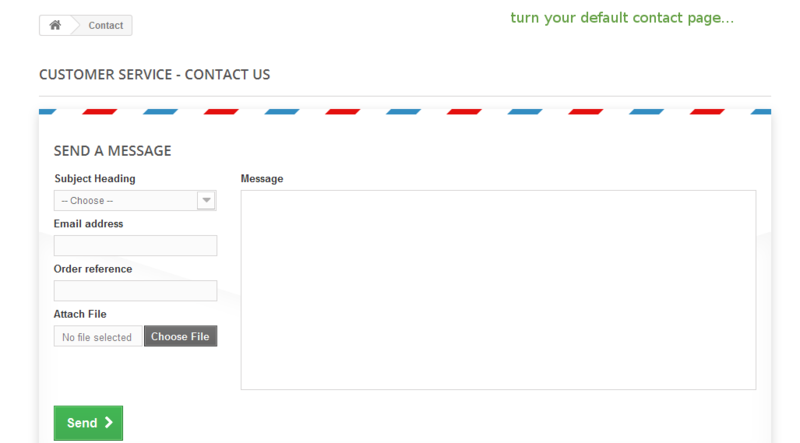 This module let’s you combine the default Prestashop contact form with selected content from the CMS, resulting in a fully customisable, multi language and easy to update contact page. Having an informative contact page is also a requirement for obtaining a Trusted Shops certificate. Check out the live preview button above for the demo!